← Are You Ready for an Upgrade? Wayne Staab of Hearing Health Matters shared this interesting trivia on the history of hearing testing compiled by Dr. Robert Margolis. Test your audiology knowledge! Who was the German inventor of the electrically driven tuning fork in 1863? What Iowa native received an Academy Award in 1959 for introducing sound to movies? Who was hired in 1917 at the University of Iowa to develop hearing tests and test patients? 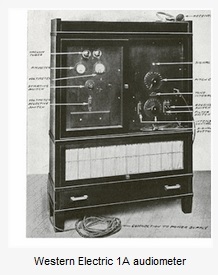 What was the price, and how many of the Western Electric 1A audiometers were sold? What was the first widely-used audiometer? In what year was the first ANSI Standard Method for Manual Pure Tone Audiometry published? This device was developed in 1919 by Schwarz (Germany), and commercialized by Medico-Technical Company in Berlin. What is this, and why was it unique? Hermann Ludwig Ferdinand von Helmholtz invented the electrically driven tuning fork in 1863. It helped lead the way to electric measurement of hearing sensitivity. 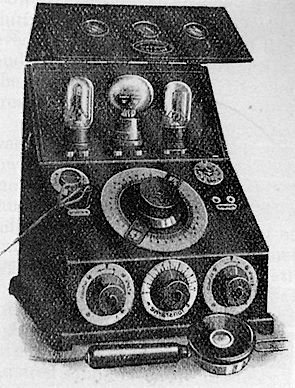 The device is the Hughes Audiometer, developed by David Edward Hughes. Lee de Forest is credited with one of the principal inventions that brought sound to motion pictures, most notable his Phonofilm process, a way to make the movies talk by adding a synchronized optical soundtrack to the film. For that 1920 invention, the first sound-on-film process, he received in 1959 an honorary Oscar from the Academy of Motion Picture Arts and Sciences. The inscription read: “Academy Honorary Award to Lee de Forest for his Pioneer Invention which brought Sound to the Motion Picture. Academy of Motion Picture Arts and Sciences, 1959. $1500 and 25 were sold (1922). Image to right. Western Electric 2A Audiometer. It ran on dry cells and was designed to meet clinical needs. In the early instruments, normal threshold values for each test frequency had to be established first to provide a reference. The instrument was limited to 8 frequencies at octave intervals between 64 Hz and 8,192 Hz. The intensity range was limited, and an additional booster amplifier was needed to determine the threshold of feeling. 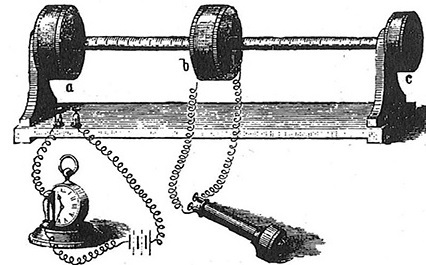 This was the first electronic audiometer with masking, an interrupter key to switch the test tone on and off in order to prevent auditory fatigue, and a Politzer balloon attached to a “pneumatic earphone” for threshold measurements under condition of altered air pressure in the external auditory canal. Tell us how many questions you answered correctly? This entry was posted in Audiology Awareness and tagged Audiology, Hearing Testing. Bookmark the permalink.